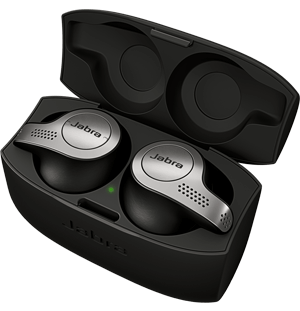 August 15, 2016 – Jabra extends its range of wireless sports headphones and continues to innovate in the sports audio sector with the launch of two new Special Editions. Just like the existing line-up of Jabra sports headphones (Jabra Sport Pulse, Jabra Sport Coach and Jabra Sport Pace), the new editions offer quality calls, music for motivation and intelligent in-ear coaching to help enhance your training effectiveness, whether you’re an experienced runner or just getting active. In addition, these next generation versions deliver innovation in all areas, with passive noise cancellation, a broader choice of fitting options, improved durability and world-first intelligent sports features for fitness enthusiasts of all standards. Jabra Sport Pulse, launched in September 2014, brought in-ear biometric heart rate monitoring to sports headphones for the first time. Two years later, the Jabra Sport Pulse Special Edition takes another innovative step by using the in-ear heart rate monitor (together with the Jabra Sports Life app) to constantly calculate your VO2 Max level – a globally recognized and established test of aerobic fitness – and automatically measure your fitness level. Whether a seasoned athlete or just trying to get fitter, the personalized VO2 Max data generated by the Jabra Sport Pulse Special Edition allows you to track your fitness development and get the most out of your workout. It uses intelligent in-ear coaching to provide real-time feedback based on your heart rate and fitness level. When you’ve finished your run, the Jabra Sport Life app provides a range of information to help you improve your fitness level in the future, including distance covered, pace, route, calories burnt and training effect. The Jabra Sport Coach Special Edition are the world’s first sports headphones to feature automatic repetition counting through the TrackFitÔ motion sensor. With in-ear coaching, they give you the freedom to plan, track and concentrate on your workout. Developed to help you make the most of your time at the gym, the Jabra Sport Coach Special Edition works in combination with the Jabra Sport Life app. The TrackFit motion sensor detects your movement and the app counts and logs your repetitions, and advises when to move on to the next exercise. From launch, the app will be able to automatically count ten of the most commonly performed exercises, including push-ups, lunges and burpees, with updates to the app increasing the number of new exercises available over time. No matter what conditions you train in, or how hard you train, both new Special Editions work just as hard. In addition to a choice of different sized ear gels and ear wings, the headphones now come with COMPLY® Foam Tips as standard, keeping the earbuds securely locked in-place throughout your workout. They also provide improved sound-quality for calls and music, with passive noise cancellation and enhanced bass. Both Jabra Sport Pulse and Jabra Sport Coach Special Editions offer certified dust and water resistance (to IP55 standard) and are tested to US military standards against wind, rain, sweat and shock impact. Reinforced by a three-year extended warranty against sweat*, you can be confident that both sets of headphones will perform, no matter how challenging your workout. Together with the existing Jabra Sport Pulse and Jabra Sport Coach, and the recently launched Jabra Sport Pace, the Special Editions reinforce the position of Jabra as a leading expert in intelligent sound solutions, particularly for those with an active lifestyle. As part of the GN group, pioneers in sound from sports headphones to hearing aids, Jabra continues to offer superior sound engineering and unrivalled expertise. Automatic fitness testing and automatic rep counting will also be freely available as upgrade features on existing models of Jabra Sport Pulse and Jabra Sport Coach, respectively. 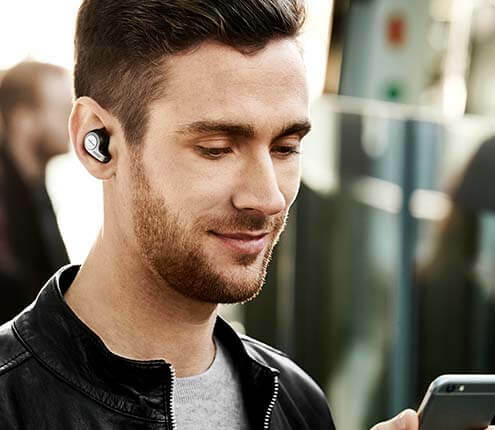 The additional functionality is available with a software upgrade to the supporting Jabra Sport Life app, and is part of a commitment from Jabra to enhance their intelligent sound solutions throughout the life of their products. The Jabra Sport Pulse Special Edition (RRP $159.99) and Jabra Sport Coach Special Edition (RRP $119.99) will be available in select retailers from Q3 2016. *based on the one-year standard warranty plus a further two-year extension available when users download the Jabra Sport Life App.